Sometimes, in the course of one’s scholarly travels, one stumbles upon a problem, mystery, or interesting fact that, while being too small in import to spin off into a paper, still demands to somehow reach an audience beyond the scholar himself. That is precisely the purpose of this post. It will be a depository for some matter overflowing from my scholarly waste books that I frankly don’t know what else to do with. 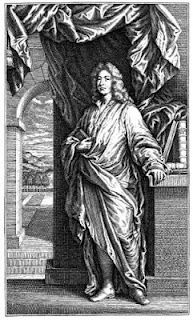 The learning contained herein derives from my researches on my favourite philosopher, the Third Earl of Shaftesbury (1671-1713), about whom I’ve written before. The best place to begin is with the picture above. It is a portrait of Shaftesbury painted by John Closterman c. 1700-1701. Considerable scholarly ink has been spilled concerning the identity of the figure to the viewer’s right, who holds the Earl’s robes of state and seems to beckon him toward the outside world and away from his books. Hypotheses as to who this figure represents have included: Thomas Stringer (superannuated steward to Shaftesbury’s father); John Wheelock (Shaftesbury’s own steward); Shaftesbury’s grandfather, the first Earl; or a psychoanalytically split-off version of Shaftesbury himself (à la the advice proffered by Shaftesbury in his work Soliloquy, or Advice to an Author). For more on this, I would simply refer the interested reader to the fascinating — though idiosyncratic and ultimately unconvincing — Chapter 3 of Lori Branch’s book, Rituals of Spontaneity: Sentiment and Secularism from Free Prayer to Wordsworth (Waco, TX: Baylor University Press, 2006). The first edition of Shaftesbury’s 3-volume masterwork, Characteristicks of Men, Manners, Opinions, Times appeared in 1711. It was intended as a sort of collected edition of his previously published works in two volumes, tied together by a new third volume, written in the form of a free-wheeling tongue-in-cheek commentary on the foregoing by Shaftesbury in the voice of an anonymous but generally favourable modern critic. Towards the end of his life, Shaftesbury had become gravely ill and left England to live in Naples in hopes of recovering his health. From Naples Shaftesbury directed a new edition of Characteristicks, for which he designed intricate emblematic engravings, to be executed by the masterful engraver, Simon Gribelin. These engravings were to be keyed to certain passages of the text and were to consist of three frontispieces (one for each volume), six headpieces (one for each of the separate treatises contained therein), and the circular emblem by Gribelin that had already appeared in the first 1711 edition. Shaftesbury had at hand a young Irish draughtsman named Henry Trench, to whom he dictated his plans for the designs. Trench’s preliminary drawings, along with detailed instructions for the plates and the general layout and editing of the book, were then sent to Shaftesbury’s agent and general factotum in England, Thomas Micklethwaite. Shaftesbury died in Naples, having only seen the finished versions of three of the nine new plates for the second edition. 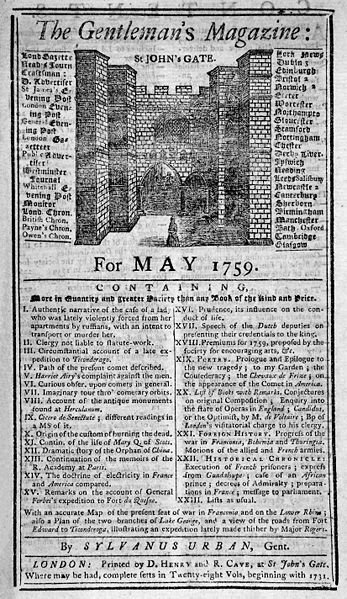 The second edition of Characteristicks appeared in 1714/15. At some point during the process of publication two new plates somehow crept into the book. (Actually there was also a third new plate, as some copies had Shaftesbury’s work “The Judgment of Hercules” appended to them, with accompanying engraving by Gribelin of Paolo de Matteis’ painting of the same. However, this was a separate work, never intended for Characteristicks.) Who decided to add these plates (and who ultimately paid for them) is a mystery. It may have been Micklethwaite, or perhaps it was Shaftesbury’s widow. What we know is that it was not Shaftesbury himself. Consider, for instance, one of these additional plates, the headpiece to the Preface, depicting Shaftesbury’s coat-of-arms. In his detailed instructions regarding the layout and illustrations for the second edition, Shaftesbury is very clear that there is to be no ornament over the Preface, for he writes: “The wooden Flourish or Flower-Work over the Preface [in the 1711 edition] must be taken away, and the Page left plain.” In addition, the instructions make clear throughout that, aside from the cryptic subscription to the Preface, there is to be nothing to mark the identity of the author, which obviously the coat-of-arms would have done. It should also be noted that Shaftesbury’s name was added to the title page of the second edition, contrary to his evident wish to remain anonymous. The other of the two unintended plates would have gone even further towards identifying the work’s authorship. This was an engraved portrait frontispiece of Shaftesbury himself, again by Gribelin, modeled after the painting by Closterman already described. The engraving is a mirror image of the original, and the beckoning figure has been removed, and in its place has been added a garden landscape. There is at least one scholar who has been unable to resist the temptation to assume that this garden is a depiction of the grounds at Shaftesbury’s seat, Wimborne St. Giles, in Dorset. David Leatherbarrow, on rather flimsy evidence, writes: “The appearance of a landscape in an eighteenth-century portrait is not uncommon, nor in earlier portraits. But this is not any landscape. I believe it is a representation of Shaftesbury’s garden at Wimborne St. Giles, the only such representation, and, as I shall try to show, of Shaftesbury’s conception of perfected nature” (Leatherbarrow 147). If this were true, it would be very interesting, given Shaftesbury’s own influence on the history of gardening and his own writings on the same. Leatherbarrow largely bases his claim on Shaftesbury’s description of his gardening work at St. Giles, claiming it matches up with the grounds in the portrait. But alas, the evidence does not support his claim in the slightest. First, Gribelin’s depiction seems highly stylized, and in any case it is on too small a scale to support any inference in this direction. 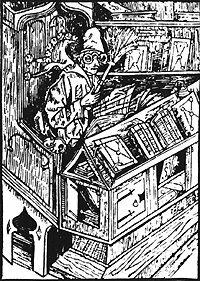 Second, Leatherbarrow provides no evidence that Gribelin had seen St. Giles, nor that Shaftesbury had sent him any directions regarding their illustration. This does not rule out the possibility that Micklethwaite, who had seen the grounds at St. Giles, could have instructed Gribelin. But that would be pure conjecture. In addition, there is even more reason to dispute Leatherbarrow’s claim. The latter writes: “As the engraver had already finished one emblem by the time of Shaftesbury’s arrival in Naples it is safe to assume he was in contact with Gribelin before his departure. Thus he could have supervised the execution of the portrait. I believe that he did” (p. 147). Besides being, again, little more than conjecture, this claim suffers from what I take to be a fatal flaw, for, to reiterate, Shaftesbury’s instructions concerning the illustrations to Characteristicks makes clear that there was to be no such portrait. His plans clearly dictated that the work was to contain only the circular 1711 title page emblem, the three volume frontispieces and the six treatise headpieces. In case there is any doubt of his intention, here are Shaftesbury’s exact words: there is to be no other illustration or ornament “besides what the Author furnishes, and are compris’d in the Three general and Six particular Plates, together with the round Frontispiece-Devise allready current” (“Virtuoso-Coppy-Book” 252). This list was explicitly intended to be exhaustive. There were to be no additional illustrations. He was adamant about this. 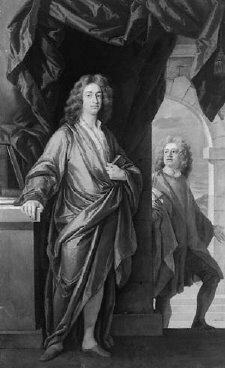 Thus, it is not “safe to assume” that Shaftesbury supervised the execution of the portrait. And as I have already pointed out, the instructions make clear throughout that, other than the cryptic subscription to the Preface, there is to be nothing to mark the identity of the author. In any case, garden historian Suzannah Fleming, Chair of the Temple Trust, has worked extensively on the grounds at St. Giles, and in a conversation in September of 2012 she reliably informed me that the terrain at St. Giles is quite flat and possesses nothing corresponding to the hills seen in the distance on this plate. Having never been there myself, I'll take her at her word. She did however tell me that a doorway has been uncovered at St. Giles, long disused and bricked up, that might correspond to the one in Closterman’s original painting. This would make sense since, as is not the case with Gribelin, we know that Closterman had been to St. Giles, and the portrait was done there. If there are actual elements from St. Giles in Gribelin’s version, it is because he copied them from Closterman’s portrait. Any new elements in Gribelin’s version have no authority as an accurate depiction of Shaftesbury’s home. BRANCH, Lori. Rituals of Spontaneity: Sentiment and Secularism from Free Prayer to Wordsworth (Waco, TX: Baylor University Press, 2006). LEATHERBARROW, David. Topographical Stories: Studies in Landscape and Architecture. Philadelphia: University of Pennsylvania Press, 2004. 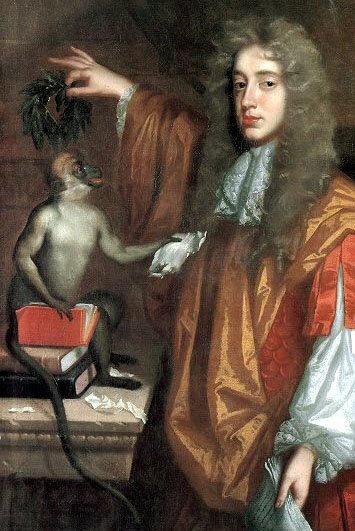 SHAFTESBURY, Anthony Ashley Cooper, 3rd Earl of. PRO 30/24/24/13. (“Virtuoso-Coppy-Book”, consisting of Shaftesbury’s instructions for the engravings in Characteristicks, contained in the Public Records Office.) Reproduced in Standard Edition (Vol. I,3), Wolfram Benda (ed.). Stuttgart-Bad Cannstatt: Friedrich Fromman Verlag, 1992.